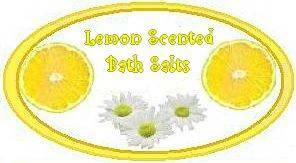 If you know someone who adores the refreshing scent of lemon, then this lemon scented bath salts recipe would be an ideal gift to make for them. It’s easy to prepare and we have two free printable labels to help you decorate the jar. Combine all ingredients in a bowl, stirring well to distribute the color and fragrance. Set aside overnight. Stir again and pour into a decorative jar. Makes one cup. For a layered look, divide the epsom salts into two bowls. Add 1/4 teaspoon lemon oil to each bowl. Add 2 drops of lemon food coloring to one of the bowls. Stir each bowl thoroughly to distribute the color and scent, set aside overnight, then layer the two colors in a jar. 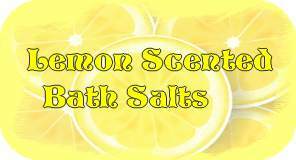 To use, add two or three tablespoons to warm bath water.